Bank of Montreal says it is lowering the interest rate on its five-year, fixed-term mortgage, effective immediately, to 2.79 per cent. TD Canada Trust announced late in the day that it would follow. Bank of Montreal has lowered its five-year fixed mortgage rate to 2.79 per cent from 2.99 per cent, effective immediately. Late on Tuesday, TD Canada Trust announced it would match that rate, effective Wednesday. "This is historically the lowest a federally regulated lender has gone on a five-year term," Penelope Graham with the mortgage pricing website said. "It's a big deal." Graham said major lenders have a recent tradition of cutting their rates this time of year, in the lead-up to the key spring home buying season. And more often than not it's BMO that moves first. "This is the time of year when lenders get competitive about pricing," Graham said. "Speaking from precedent, what we've seen in the past is that the others don't immediately rush to match. But there's nothing to say they won't this year." Although it's precedent setting, it's not the lowest rate out there, as alternative lenders have been pricing at that level and below for several years, because they have to charge less to break the hold the bigger lenders have in terms of branding and trust. Currently, the lowest five-year posted rate in Ontario is 2.59 per cent from several lenders, including Dominion Lending Centres and True North Mortgages. "The mortgage rate war has been happening for three years now," Graham said. "Brokers and smaller lenders, we've been seeing this pricing for several years, to be honest." The rate cut comes ahead of the key spring real estate season. The latest numbers from the Canadian Real Estate Association show that Canada's housing market continues to crank out gains, with the average price up more than six per cent to over $430,000 last month. Those gains are coming at least in part on the back of lower rates, which have been compelling Canadians to buy more houses at lower than usual interest rates. 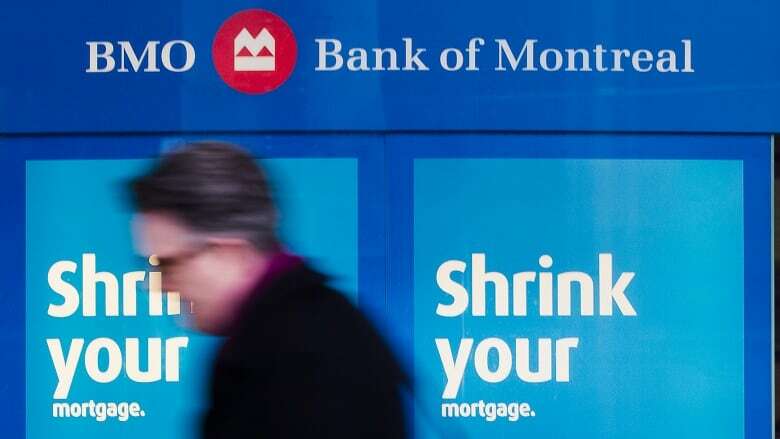 BMO and TD are the first of Canada's big banks to significantly alter benchmark interest rates since the Bank of Canada surprised markets with an unexpected rate cut in January. More than two-thirds of mortgage-holders opt for a fixed rate term, the Canadian Association of Mortgage Professionals said, and within that group, five-year terms have been the dominant standard for some time. Aside from its key five-year rate, BMO left its other rates unchanged Tuesday.